I have to admit, I don’t normally notice a difference in conditioners when I sample them (unless they leave my hair greasy). This one fit the bill of delivering moisture and smelling lovely, so I’m a fan, but I’m a fan of most conditioners I’ve tried! And the formula is designed to make your skin softer over time! If you’ve read my reviews before you might know that I do NOT get excited about foil packets. I like my samples decently sized and resealable! However, with a $5 beauty box, I expect to get a foil packet every now and again, so I’m not complaining…too much. The product itself is great – if you like the scent of coconuts! The formula is free of parabens, phthalates, sulfates, mineral oil, etc. And it is made with fair trade coconut oil! The formula is a lightweight cream that absorbed almost instantly. It’s a perfect summer moisturizer! This facial oil is ingredient conscious just like the moisturizer! I recommend using this if you are looking for a light sheen on your skin – it’s a nice subtle way to get the “luminous” look. Biore Pore Strips are one of my favorite drugstore beauty items of all time, so I’m always down to try new products from their brand! This exfoliating cleanser has a fresh, fruity scent, and it was left my skin feeling super clean and smooth – but not overly dry! These formulas are designed to help hydrate and soften hair. I’ve sampled various other Gliss lines before, and I’ve found that they smell nice and get the job done. Same with these! Sigh…one more foil packet! I’m really glad I tried it, though. I always tend to forget how impressive drugstore foundations are! This formula gave me full coverage and a matte finish. It looked a tad cakey in one area where I layered on a little too much, but that’s more my fault than the foundation’s. I think I’ll buy the full-size version – it’s less than $4! Verdict: This box has a value of about $7.83. That’s significantly less than my Classic Box, so it’s good to keep in mind that values on these boxes can vary quite a bit. I liked just about everything in this box, though, so I’m happy! And what a great, cheap foundation find! I ordered the beauty box for my daughter as a gift and the Tredsetter for me. My daughter got hers but I haven’t gotten mine! In my last few boxes I haven’t received half of the items that I’m supposed to. I’m not talking just one, but literally up to four of the items in every single box. When does the Summer 2017 box ship? No word on anything yet that I’ve found. How do you get the trendsetter box? I’ve been signed up for a year and the only boxes I’ve ever gotten were the classics. No option that I can find to get a different one. It’s based on your age! I believe you will have to go in and change your birthdate to get the trendsetters. I’m pretty sure under 35 gets the trendsetters, over 35 gets classic. You pick that yourself..you need to update your beauty preferences. No, you don’t. As the other commenter said, they send Trendsetter boxes to people under 35. So just enter your year of birth as 1983 or later. I was a little disappointed in the classic box. Ban deodorant, same shampoo and conditioner as in the trendsetter box, same toothpaste, a couple of facial oil samples, a face mask and facial moisturizer sample from burts bees. Thanks for reserving your Me Moment Box. This is our first time launching a themed box within the seasonal boxes, so we hope you love it! Please be sure your account information is correct to ensure payment processing and delivery. You can expect a charge on April 18th. Following your successful payment, we’ll email your tracking number to you once your box has shipped by April 21st. I got the same email today! Finally! This has seemed like such a long wait. I look forward to getting it and seeing what all is included! Wish I got the Palmers Coconut samples 🙁 Bummer! I will not use mine – do not care for the smell of coconut. I could mail it if you have a PO box or something. I got this box minus the Dove deodorant and nothing additional (no nail polish or lip gloss). I had really been looking forward to the deodorant 😕 Outside of that, the box is super “meh” and barely worth the $5. My Classic box was similarly disappointing. 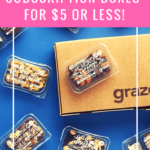 I am going to try unsubscribing and resubscribing for the next box in hopes that I end up in an earlier shipment wave (I only got my boxes last Wednesday or Thursday). If that doesn’t work, I’m out. I got this box a couple weeks ago. Got most of the same things, except no frizz-ease, and no palmer’s samples. I didn’t even get the lip gloss that was advertised. I got a Sinful Colors nail polish in some sort of mint green shimmer. Which is fine for spring. My daughter uses it. That’s the same box I received except my nail polish was a pretty pink. I could swear there was another foil packet in there but I can’t remember. Yes, it was an Aveeno duo. An in-shower mask, and a serum or something like that. I clicked on the Me Moment box and I think it replaced my Trendsetter box (I don’t remember). I think I received the Classic box a couple of weeks ago – but I don’t remember which box, actually, I think it was the Classic. Does anyone know which box the Me Moment box was supposed to replace if you subscribe to both? If Walmart ever did a natural beauty box I’d be all over it. 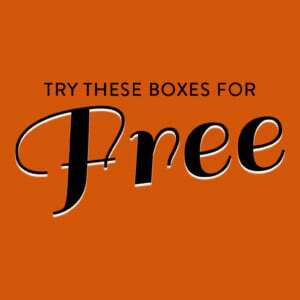 It doesn’t matter to me that the retail value of the box isn’t that much higher than the cost of the box, it would be great to be able to sample the natural beauty brands that they offer in store. I sure hope the “Me Moment” box is worth the wait. I’ve never waited this long for a Walmart Beauty Box. I subscribe to both the Trendsetter and Classic. You can use the same birthday year for both, you don’t have to change your birthday year for the Trendsetter box which is 35 and younger. I opted in for that Me Moment box. Has anyone else received theirs? Or heard anything about it for that matter? I got the Trendsetter a couple weeks ago but no Classic yet. Anyone else? I don’t want to hassle with CS if it’s on the way… lol. Are you sure it isn’t the other way around? I received my Classic box 3 weeks ago but my Trendsetter still hasn’t shipped. I reserved the “me moment” box though, so that might have something to do with it. Liz, any idea when the Me Moment boxes are going to be released? No, it was this box pictured above (Trendsetter) that I got weeks ago. Still waiting for the Classic, but I opted into the Me Moment or whatever it was called, so maybe that’s the hold up. Sorry if this posts more than once; the site is glitchy right now. I’m not the only one! I love this site, but it does not seem to love my phone. I have an Android and use Chrome, btw, but find that the freezing is worst if I use the browser embedded in my gmail app (which is now the default). I only get the Classic and I haven’t received it yet. Makes me worried I’m going to get leftovers and foil packets. I got both of my boxes on April 4th. FYI, you don’t have to change the year of your birthday in order to get the Trendsetter if your over 35. I subscribe to both Trendsetter and Classic, and I have used my same birthday year for both. How did you do that? There are no options there otherwise that you can select. I remember last year when Walmart decided to breakdown their seasonal box into two seasonal boxes (Trendsetter & Classic) there was an option to add a new subscription, and just choose which version you’d like to receive. When this happened, I was signed up for the Classic version, based on my age, so I added a new subscription, kept my birthdate the same, and just selected Trendsetter. I’m wondering if that’s what Arlean did. However, I do recall when I re-subscribed earlier this year, there was no option to choose between the two boxes, so I just changed my birthdate like everybody else.